Binge watchers of the world, rejoice! You can now use “Skip Intro” feature while casting, provided you are an Android user. 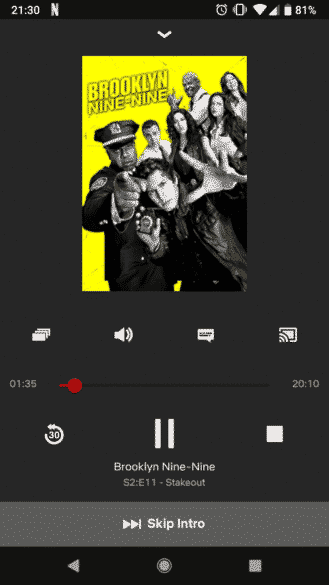 Netflix has updated their Android app to add this feature, which was not available on Chromecast until now. You can now save those precious few second that Netflix wastes with those intro scenes. Open up the Netflix app and you will see the newly added “Skip Intro” icon on the playback control menu. If you are an iOS user with Chromecast and Netflix, sorry, you’ll still have to wait. Netflix has not yet added this option to its iOS app. I would suggest getting an Android phone, just for this reason. What do you think?